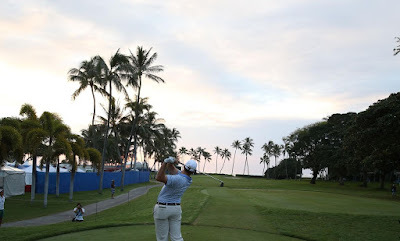 For the second day in a row at the Sony Open in Hawaii, Michael Thompson managed to finish his round on a high note. In Thursday's first round he finished with back to back birdies while Friday's second round was even more dramatic. Michael came to his final hole (hole #9) sitting two shots outside of the cut line. Luckily for Michael, the ninth hole is a short par five and the easiest hole on the course. Michael's tee shot was beauty that traveled 337 yards and found the right hand side of the fairway. It left Michael a manageable 156 yards from the hole. Michael stuck the approach inside five feet, made the short eagle putt and walked off his final hole knowing he'd be making the cut. This marks the fifth time out of six events this season that Michael has made the cut. There will be a secondary cut on Saturday since over 80 players made the cut. 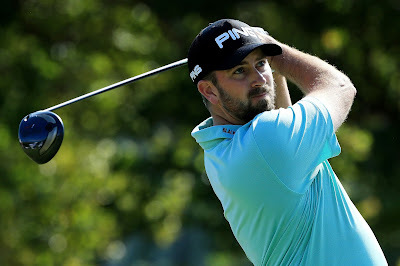 In Saturday's third round Michael will once again be grouped with Ryo Ishikawa and Chad Campbell since they all finished the second round at three under par (T66). They tee off from the tenth hole at 11:45am local time (1:45pm PT).